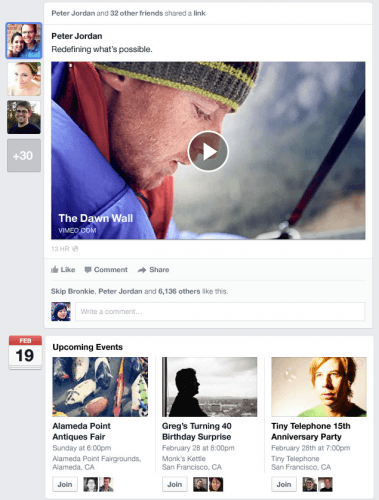 Today, Facebook announced its latest redesign of the news feed. Zuckerberg said that the idea behind the new design is based on a more visual theme and that they wanted to make the News Feed look more like the personalized newspaper front page. The new redesign will present a unified look across mobile and desktop versions. It will include larger images in the feed and bigger videos. 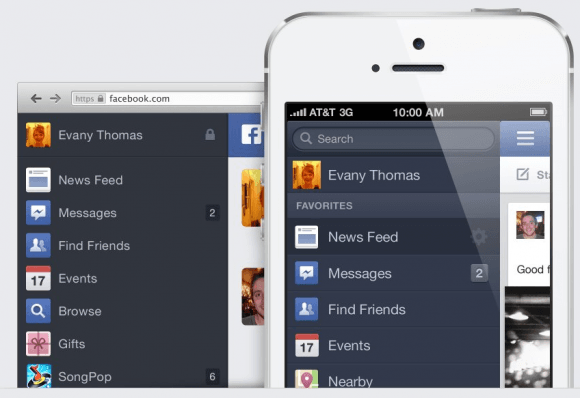 It will also offer users more choice and control over their feeds. Their three focal points are rich stories, choice of feeds, and mobile consistency. 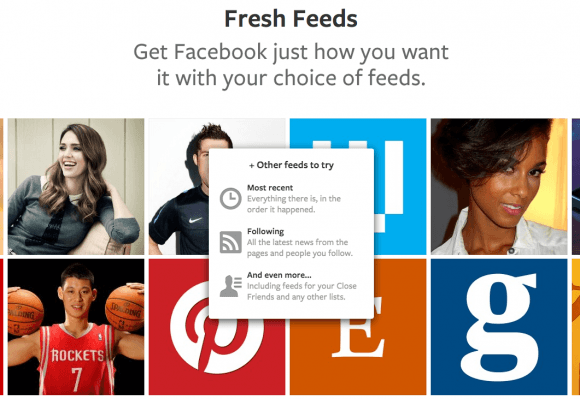 One choice will allow people to pick a feed that will show every single post and photo uploaded by their Facebook friends. It will also include a separate news feed choice for music, a photo-only feed and a following feed where you can see every fee from businesses and news content, in chronological order. The desktop should look more like the mobile app version of the feeds, which includes new navigation user interfaces; the desktop will also get a revamped chat UI. The new News Feed design will go out in a limited trial later today and will go to smartphones and tablets in the next few weeks. 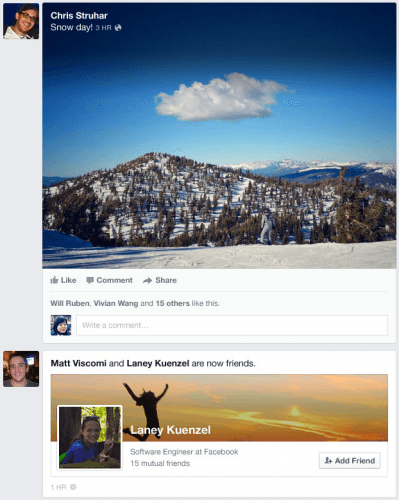 Design choices throughout this new iteration of the News Feed on Facebook show the company to be coming to terms with the idea that images are king. If you post a photo, you’ll find that you’ve got the largest preview showing in your News Feed that Facebook has ever shown before – along with Like, Comment, and Share buttons right below in newly smoothed-out sections. If two people become friends, you’ll see one of them in a tiny icon and the other represented by not just their icon, but their header image as well. When you see a link being shared, you’ll also see a short list of icons associated with the people who have shared it on Facebook as well. Hovering over one of these icons expands the rest – this element is in place to have people finding new friends with similar interest, of course. Along those same lines you’ll find Upcoming Events appearing next to single dates – Fridays, for example, will be of particular interest. With a new pull-down menu that reads “News Feed” until you switch it, you’ll be able to select from any of the following to syphon your feed down to just the items you want: Most Recent, All Friends, Photos, Music, Following, Games, or Groups. This filter will be working in both the desktop (web browser) and mobile user interfaces soon – simple and smooth. Both the desktop and the mobile editions of this change-over are going to be pushed almost at the same time. The desktop version will be coming first – with a limited roll-out starting today, the day of the update’s announcement. The mobile version – for iOS and Android at once, mind you – will be out in coming weeks. Overall, these changes look pretty nice in my opinion. 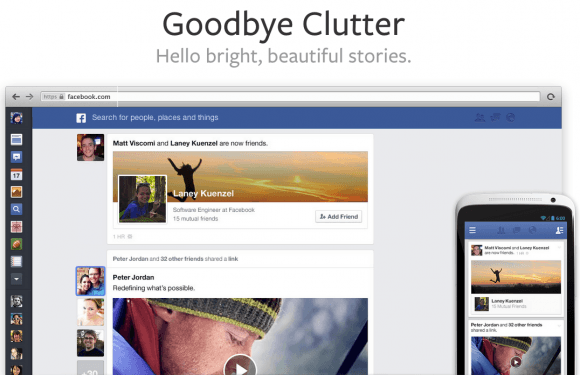 It seems as if they’ll give Facebook a cleaner look compared to how cluttered it can be at times. What are your opinions on these changes?